The Bulgarian Red Cross has launched a fundraising campaign to assist people hard-hit by the earthquake in Nepal, which as of April 28 is reported to have resulted in more than 4000 deaths with 8000 people injured, alongside widespread devastation. The Bulgarian Red Cross said that in response to significant humanitarian needs following the earthquake, the International Federation of the Red Cross had launched a 33.4 million Swiss franc emergency appeal to provide vital services including food, shelter and water and sanitation assistance for 75 000 vulnerable people. The appeal was launched following an initial Disaster Relief Emergency Fund allocation of 500 000 Swiss francs, which was activated to ensure resources are available immediately. The Bulgarian Red Cross said that people could donate by sending an SMS to the number 1466 (valid for text messages from all Bulgarian mobile operators) at a cost of one leva an SMS. Donations also may be made by sending money on to the Bulgarian Red Cross’s bank account: UniCredit Bulbank AD; IBAN: BG23UNCR70001519676152; BIC: UNCRBGSF; Bulgarian Red Cross (for the earthquake in Nepal). 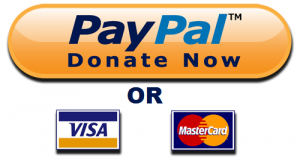 Details of how to donate via Epay, debit or credit card, or a Transcard donation, may be found on the website of the BRC.